After a conviction for any type of criminal offense in Chicago, the defendant is given the chance to post a criminal defense appeal. It is the right of the defendant. Often, excluding certain cases, this appeal takes place in an intermediate appellate court. Every defendant in Chicago who is condemned of a crime has the right to put in an appeal. The appellate court cannot deny hearing the case. Let’s say the appeal is unsuccessful in the intermediary court. The defendant is convicted of the crime yet again. As such, the defendant’s further petition is not sanctioned. This was proved in one recent case. In it, the defendant filed an appeal to disqualify the trial judge from future post-conviction proceedings. But when the motion was filed, the defendant had no pending cases. The defendant’s petition was thus denied since the motion was void ab initio. That being said, a defendant can put forward a request to appeal to the Supreme Court of Illinois in hopes that the court will accord his or her request. Such requests are rarely granted. Often, the court accedes to appeals in cases in which interesting legal topics have been settled in different ways by several intermediary courts hearing the case. Let’s say a defendant has tried to get his or her appeal heard by the Supreme Court of Illinois. He or she can also approach the US Supreme Court for a review of the case. However, a review provided by US Supreme Court is rare. 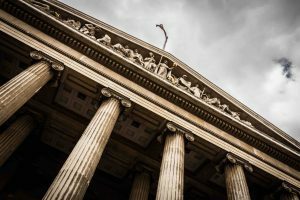 What happens after defendants have exhausted their appellate remedies? When a defendant has made use of all the appealing options, he or she is entitled to lodge an application. This is known as a post-conviction hearing. However, it is not certain that the court will hear the plea of the inmate. This is true even if he or she is entitled to register a request. Post-conviction applications are not the same as the appeals of convicts. In post-conviction applications, the inmate claims the trial was subjected to some serious error. In turn, this stripped the defendant of his or her constitutional right(s). This was evidenced in the case of People v. McFadden. The Supreme Court affirmed the Appellate court’s judgment. Of course, it was partial and reversed the remaining. It also affirmed the Circuit court judgment partially and vacated the other part. The appeal surrounded the conviction of the defendant for the illicit use of a weapon). Nevertheless, such applications are rarely approved. In a few extreme cases, the defendants are granted new trials. Their cases are once again heard by the court. This can happen when new evidence is found or a new witness comes forward. Are you looking for an attorney for your post-conviction application? If you want the support of a lawyer who can file your post-conviction application and fight your case even after you are convicted, contact David Freidberg Attorney at Law at 312-560-7100. Employ the services of an experienced and qualified attorney. That way, you can rest assured that your post-conviction application will be submitted at the right place and in the right hands. Remember: you have the right to make an appeal. An appellate attorney can help you where your trial lawyer might have failed you.